The tradition of wassailing (pronounced to rhyme with fossil-ing) is hardly a new one. In centuries past, wassailers went from door to door, singing and drinking to the health of their neighbors. The concept actually hearkens back to pre-Christian fertility rites—only in those ceremonies, villagers traveled through their fields and orchards in the middle of winter, singing and shouting to drive away any spirits that might inhibit the growth of future crops. As part of this, they poured wine and cider on the ground to encourage fertility in the crops. 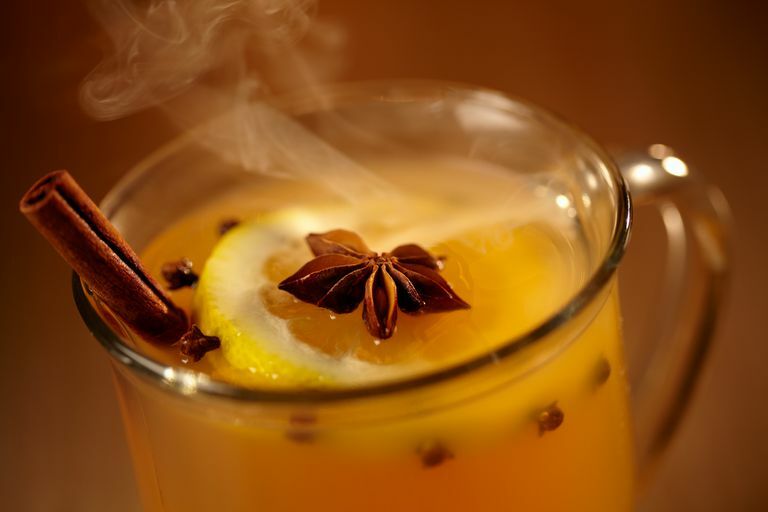 After you get home from your night of singing, relax by your fire with a pot of spiced wassail (recipe below) or hot buttered rum! Wassail was originally a word that meant to greet or salute someone—groups would go out wassailing on cold evenings, and when they approached a door would be offered a mug of warm cider or ale. Over the years, the tradition evolved to include mixing eggs with alcohol and asperging the crops to ensure fertility. While this recipe doesn't include eggs, it sure is good, and it makes your house smell beautiful for Yule! Set your crockpot to its lower setting, and pour apple cider, cranberry juice, honey and sugar in, mixing carefully. As it heats up, stir so that the honey and sugar dissolve. Stud the oranges with the cloves, and place in the pot (they'll float). Add the diced apple. Add allspice, ginger and nutmeg to taste—usually a couple of tablespoons of each is plenty. Finally, snap the cinnamon sticks in half and add those as well.